Nick on IT: Version 7.1 goes live! 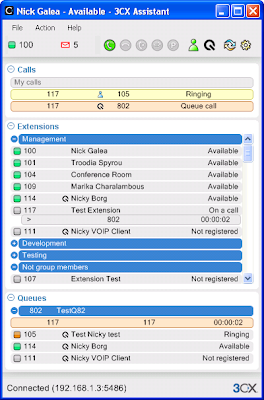 3CX Phone System v 7.1 was released today. The big feature was the new 3CX Assistant. The Assistant makes using the phone system for each extension user much easier. In addition, its also the basis for integration with other CRM software such as Microsoft Outlook and Salesforce.com The integration modules are in beta and can already be downloaded. It all looks great so far. Are planning to add support for more CRM's?